The New Year brings a calm that I fully enjoy after the hustle and bustle of the holidays. Lately I’ve been taking one day at a time to focus on what is really important in my life—the simple things that I am grateful for; getting to know myself better; just being still and breathing; letting go of attachments and clutter—in essence getting reacquainted with my awesome self. Sounds simple, no? Happiness is so fundamental to our well-being, but it takes work. We have to know what true happiness means to us and strive to live our lives in alignment with that—with gratitude and love. Sometimes we need a little push, some guidance if you will. Which is why I’ve joined Meghan Telpner—the bright light behind the Academy of Culinary Nutrition—on the Awesome Life Detox. Ten days of self-guided practice with a vibrant community of beautiful, passionate people. I almost let this program pass me by, but signed up on a whim. I’m so glad I did! I can see myself doing the practices long after the program has ended, constantly cultivating the relationship I have with myself and reworking what my awesome life looks like (and living it too!). But if that’s all a little much for you and you’re just looking for a little something to set the stage for an awesome day, I could not recommend this simple little drink more. 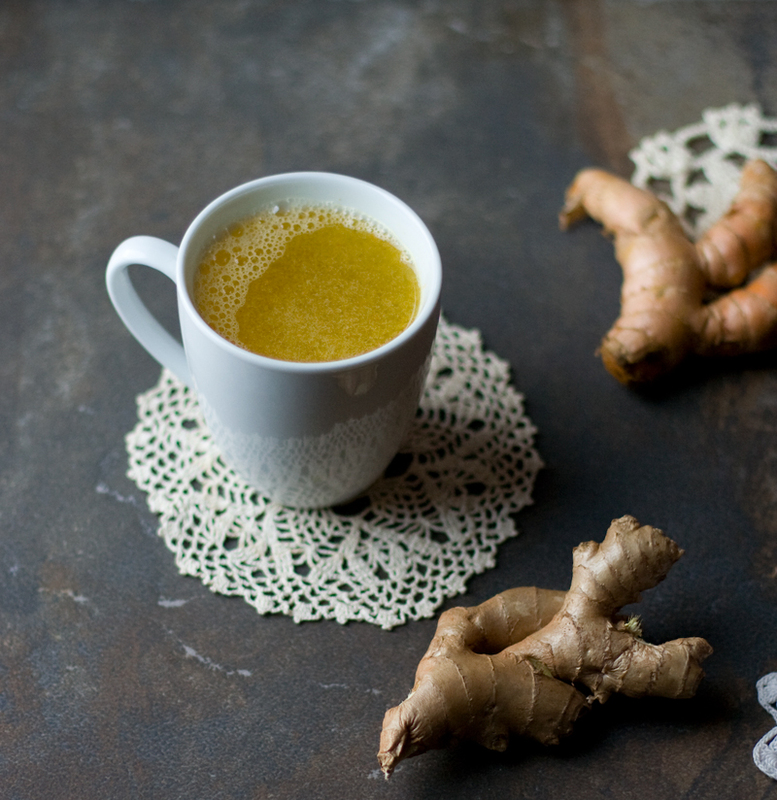 This cup of sunshine stimulates and prepares the digestive system for the day ahead, giving you an anti-inflammatory and immune system boost first thing in the morning. Trust me; this is just what you need to start the day. It’s how I like to start mine. The lovely lemon is one of my favorite fruits. I use them so much in cooking that I’m rarely without a few in the kitchen. If you can get your hands on Meyer lemons, don’t pass them up. A cross between a lemon and an orange, Meyer lemons have a thinner skin, brighter color and mellower flavor than regular lemons, which pairs well with the spices in this recipe. Lemons have anti-microbial properties and are rich in vitamin C, a powerful antioxidant which protects against free-radical damage and inflammation. In fact, a diet rich in foods containing vitamin C have been associated with a decreased risk of death from all causes. 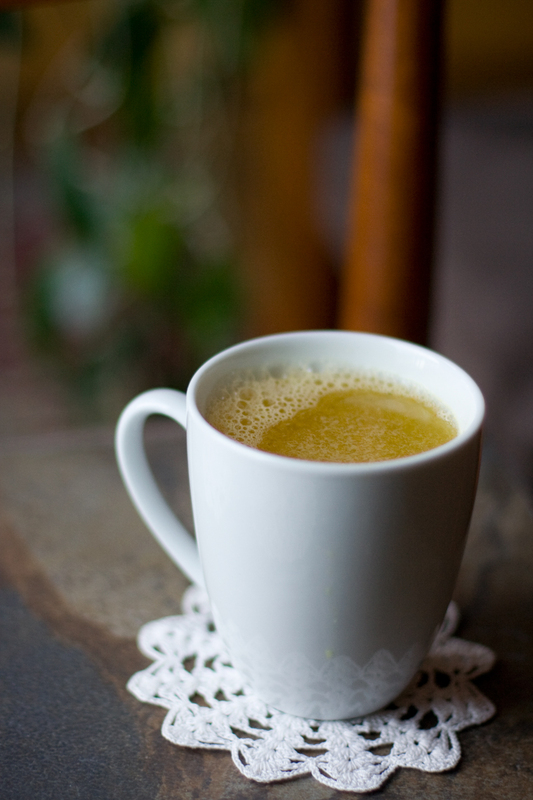 Pair lemon with the super powers of turmeric, ginger and cayenne you have yourself one heck of a morning pick me up. Forget coffee. Start your day off with this anti-inflammatory, anti-microbial, anti-fungal, anti-viral, anti-oxidant, pain relieving elixir and see what kind of magic unfolds. Just make sure to give your mouth a rinse before brushing, as the acidity of lemons can wear away enamel if you brush it into our teeth. If you’re worried about lemons making your body acidic, fret not. Once in the stomach, lemons actually have an alkalizing effect on the body–another added bonus. Play with the ratio of spices here. Start small and work your way up. It's also important to not use hot water here. Vitamin C is sensitive to heat and we don't want to waste any of that goodness! Stir all ingredients into a large mug. Sip first thing in the AM and enjoy your awesome day! This is really GOOD! So easy to make when you get up all sleepy. 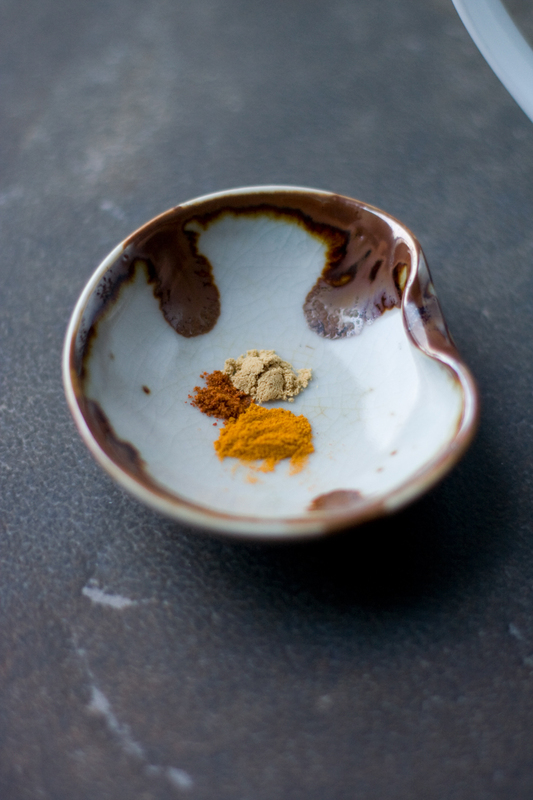 The ginger, pepper and cayenne kinda sneak up on you warming your throat and tummy too. Perfect for our snowy weather today. Glad you like it Cheri. Cheers! The spices really take it up a notch. Enjoy!